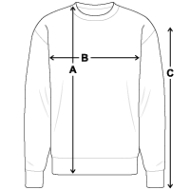 Pegasus Men´s Crewneck Sweatshirt. Pegasus is one of the best known creatures in Greek mythology. Pegasus was a flying horse. He was sired by Poseidon and foaled by Medusa. Pegasus was the first horse that came to be among the gods in Mount Olympus. Zeus transformed him into the constellation Pegasus and placed him up in the sky.